Knightsbridge furniture is delighted to be supporting the furniture industries future talent by being part of the annual Student Industry Tour, hosted by The Furniture Makers’ Company. 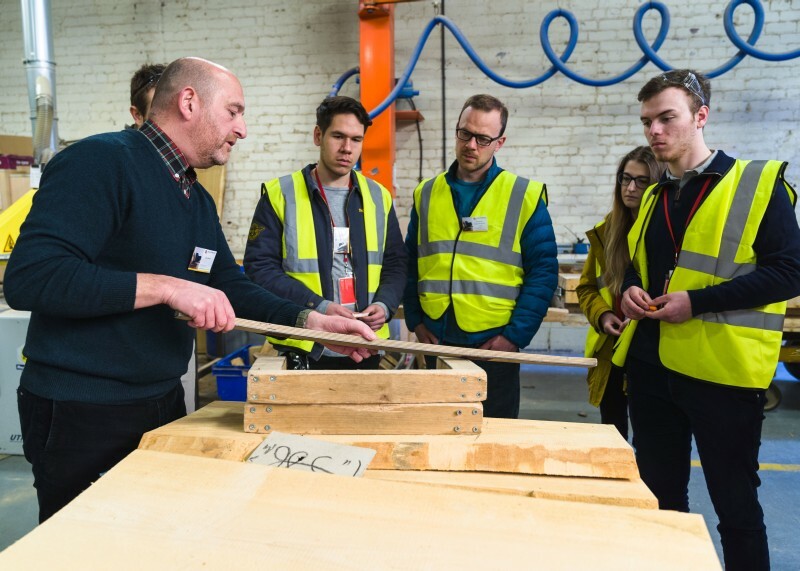 The three-day industry tour takes place in the North West of England where around 34 college and university students will visit some of the country’s leading furnishing businesses. The tour is designed to give students a broad insight into how the industry operates as well as topics such as research and development through to manufacturing, marketing and sales. The Knightsbridge tour offers the students a unique opportunity to delve inside one of the UK’s most exciting and established furniture manufacturers. Students will experience how a piece of furniture is realised from the design concept through to the finished product. “A warm welcome was received at Knightsbridge where we were able to tour the design and manufacturing facilities and see at first hand, creation of the large range of seating and occasional furniture produced by this well-established British company. As a trainee upholster, it was useful to gain a greater appreciation of related disciplines such as product design, frame construction and production operations. I was particularly interested in the challenges faced by the in-house design team in meeting requirements not only of comfort and aesthetics but also those of a more practical nature in pieces destined for use in challenging environments. It was an enormous pleasure to be invited to see the Knightsbridge facility and I’d like to express my thanks for the warm welcome, the informative tour and the generous hospitality provided”.